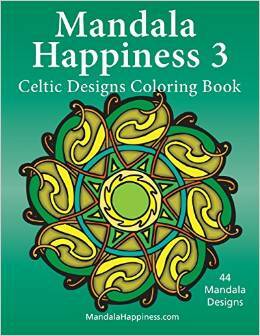 Mandala Happiness 3, Celtic Designs is the third of 3 new adult coloring books by J. Bruce Jones releasing June 2015. The book contains 44 mandala coloring pages for adults and grown ups. Perfect for inspiring creativity, reducing stress and coloring fun. (Boston, Massachusetts, June 10, 2015) J. Bruce Jones and Bruce Jones Design Inc., announces the release of Mandala Happiness 3, Celtic Designs, an adult coloring book focusing on mandalas and their spiritual nature. Coloring mandalas has been know to help reduce stress, inspire creativity and bring an inner calm. Mandalas have been used for ages as a way to connect with the spiritual world and with your inner self. Mandala coloring pages can bring out your spiritual side, establish a sacred space, and aid in meditation and relaxation. Mandala Happiness 2, created by J. Bruce Jones is designed for grown ups and adults of all ages. Mandala Happiness 1 coloring book for adults contains 46 outlined mandalas to draw, color and bond with. Each mandala is printed on the front of the page with a blank page behind so they are perfect for colored pens and markers, avoiding page bleed. Mandala Happiness is a new series of adult coloring books by J. Bruce Jones featuring mandalas and decorative designs. Releasing in June are Mandala Happiness 1, Mandala Happiness 2 and Mandala Happiness 3 with Celtic designs. Bruce Jones is the author and creator of numerous coloring books for kids and students. His books focus on geography, cats and dogs, and alphabets. Bruce has been a graphic designer for the past 30 years and practices Tai Chi. Bruce has created over 30 books over the past 8 years. 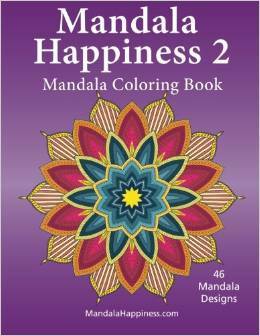 Mandala Happiness 2 is the second of 3 new adult coloring books by J. Bruce Jones releasing June 2015. The book contains 46 mandala coloring pages for adults and grown ups. Perfect for inspiring creativity, reducing stress and coloring fun. (Boston, Massachusetts, June 10, 2015) J. Bruce Jones and Bruce Jones Design Inc., announces the release of Mandala Happiness 2, an adult coloring book focusing on mandalas and their spiritual nature. 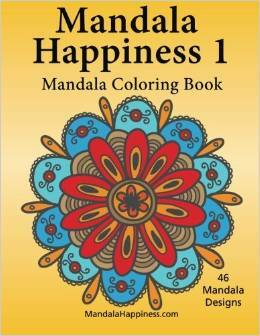 Mandala Happiness 1 is the first of 3 new adult coloring books by J. Bruce Jones releasing June 2015. The book contains 46 mandala coloring pages for adults and grown ups. Perfect for inspiring creativity, reducing stress and coloring fun. (Boston, Massachusetts, June 10, 2015) J. Bruce Jones and Bruce Jones Design Inc., announces the release of Mandala Happiness 1, an adult coloring book focusing on mandalas and their spiritual nature. Coloring mandalas has been know to help reduce stress, inspire creativity and bring an inner calm. Mandalas have been used for ages as a way to connect with the spiritual world and with your inner self. Mandala coloring pages can bring out your spiritual side, establish a sacred space, and aid in meditation and relaxation. Mandala Happiness 1, created by J. Bruce Jones is designed for grown ups and adults of all ages. Mandala Happiness 1 coloring book for adults contains 46 outlined mandalas to draw, color and bond with. Each mandala is printed on the front of the page with a blank page behind so they are perfect for colored pens and markers, avoiding page bleed. Hi had fun recently talking with Jenn Foster and Melanie Johnson on their new podcast and site, Hot Chicks, Write Hot Books. We talked about publishing and making a living online. 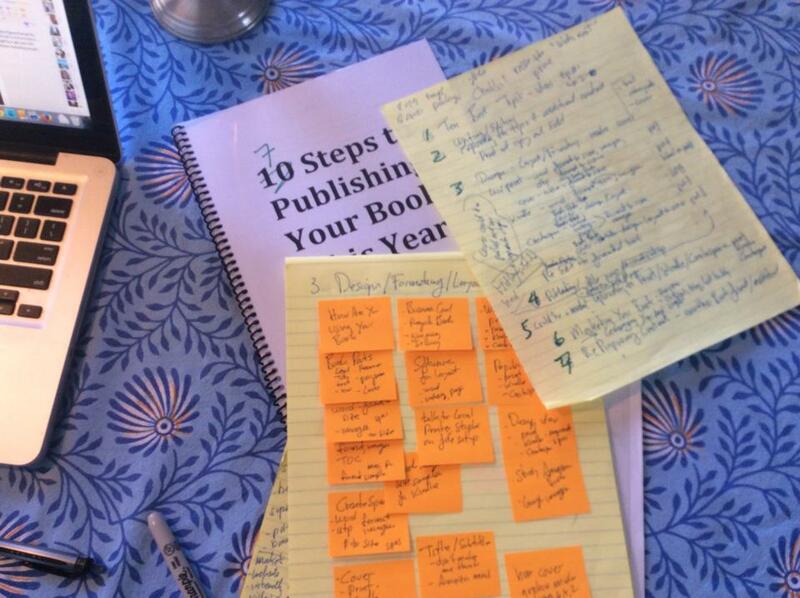 It was fun to dive into some of the details on writing books and publishing on Amazon. 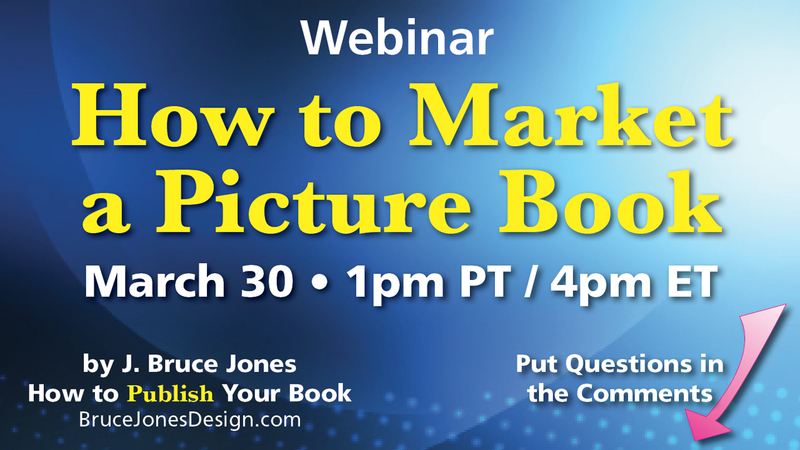 I had ran a fun webinar this afternoon on How to Market a Picture Book Online. I ran it over Google Hangout which has improved a lot and makes this much easier. Below is the replay. Thank you everyone who came and great questions. 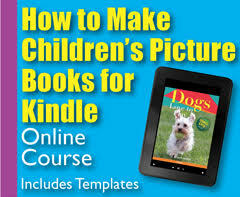 I included an offer for my new course How to Make a Children’s Picture Book for Kindle with a special discount code of kidsbooks for $50 off. 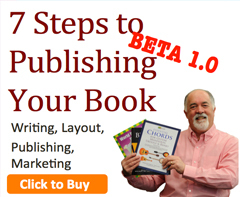 ISBN Numbers, Do we need them, Yes or NO?, what are the and how do they work? 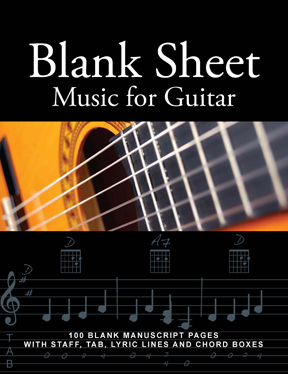 It is kind of mixed, ISBN which stands for International Standard Book Number and is manged by Bowker.com, and are the numbers that are used to track print books and help with distribution. You have to have one if you are going to be distributed to bookstores. They also indicate who the publisher is. They cost $125 each but you can reduce the cost if you buy a bundle of them. Most of the major print on demand companies, CreateSpace.com, Lulu.com, Blurb.com will supply ISBN numbers for free when you use their services, but you will have their name as the publisher. 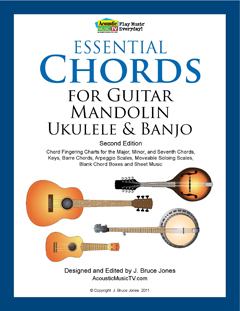 You can also buy them and use your own and the publisher will be your name. Kindle books don’t use ISBN numbers. 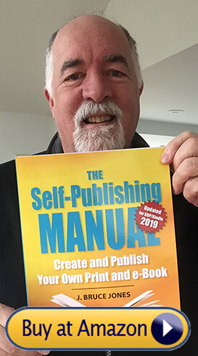 I think the decision comes down to if you are going to be a publisher or an author. If you are going to be selling physical books and distributing them through books stores then you have to have an ISBN number. If you are just going to stay on Amazon then you can use theirs. You can also do both, but distribution requires the number. 2. Unfortunately most books don’t sell all that much so to taking a $125 hit right off the top might be the total sales of your book. Ouch. What do I do? 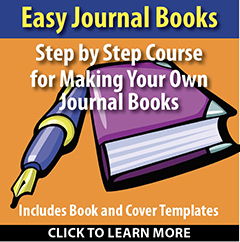 I just use the CreateSpace ISBN, it is way easier. I don’t really care who the publisher is, I just want to make books and sell them. You can always change, nothing is locked in, you retain all the rights to your books and content. Take the $125 and put it to marketing, especially on your first couple of books, then see what happens.